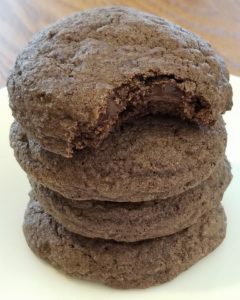 Our newest gluten free and vegan cookie has a base of quinoa and oat flours and potato starch. Then we use a mixture of semi sweet and dark chocolate to create the perfect balance of smooth and deep flavors. 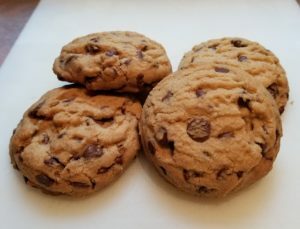 Our newest old fashioned cookie is made with a combination of whole wheat flour and all purpose flour. Add to that ground 3 Phase Espresso beans from Borealis Coffee Company, dark cocoa and some ground and chunked dark chocolate and you get one deep flavored cookie.